At Peppard Building Supplies our staff are ready to help 7.00am – 5pm from Monday to Friday and 8am – 12.30pm on a Saturday. Got a question outside of those hours? Try our ‘Ask the Expert’ section. With the ‘Your Account’ section you can view transactions and invoices from the comfort of your own home or workplace, 24 hours a day, seven days a week – online, anytime! For the latest trade and product news, reviews and exclusive special offers delivered direct to your door sign up for the Peppard Building Supplies newsletter. Don't miss out! Need some inspiration for your outdoor area? From paving stone, block paving and granite sets, to fencing panels, timber posts and sleepers our landscaping range is second to none. For al the very latest offers, find Peppard Building Supplies on Facebook and Twitter. With one of the widest ranges of aggregates around, whether its flint shingle, mixed building sand or specialist cements, you will find it here. All aggregates come in loose form or bulk bagged, and can be delivered across the Reading and Henley areas. Installing new wooden flooring can transform any room and brings the natural beauty of real wood into your home. Whether you are looking for a light, domestic flooring solution or something that is more suited to heavy duty use and high footfall, Peppard has plenty of options to help you create the perfect space. Using high-quality wooden flooring allows you to create a custom look, with an extensive choice of finishes, from rustic, oak flooring to minimal, contemporary looks. Peppard Building Supplies has a huge range of authentic wood floors including Solid Wood Flooring and Engineered Wooden Flooring with an extensive choice and variety. 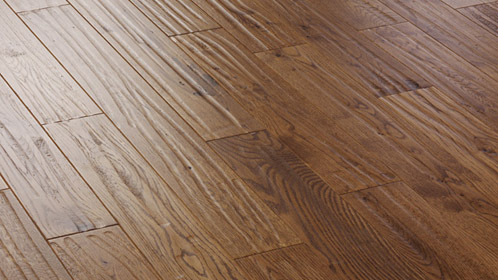 Give your home some character, with a high-quality solid wood floor or engineered wooden floor from Peppard. If you need any help choosing the right wood flooring for your home or project, contact the Peppard customer services team. Our experienced team is here to help you find the perfect wooden flooring solution for your project. Peppard Building Supplies stocks the best quality timber in Reading and the surrounding areas. We have a wide range of high-quality timber and sheet materials, including pin board, hardboards, chipboard flooring, MDF (Medium Density Fibreboard) sheets, shuttering plywood sheets, structural plywood sheets and timber door linings kits from quality brands such as Kronospan and NoMorePly. All our structural plywood sheet materials are approved by the BBA (British Board of Agrément) and our OSBs (Oriented Strand Boards). All our external structural grade sawn timber comes treated, kiln dried, eased edged and is available in most common construction lengths. 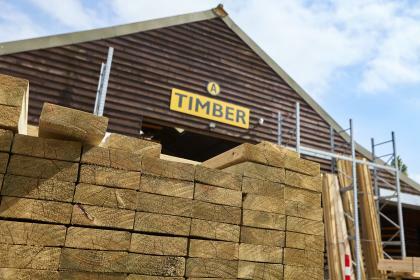 Our prepared timber is of the highest standard being of an unsorted grade, no other merchant in Berkshire or Oxfordshire aspires to hold such stock. Fitting such timber makes great savings on labour spent decorating. MDF skirts and architraves are stocked in depth and in many profiles being pre-primed ready for use. 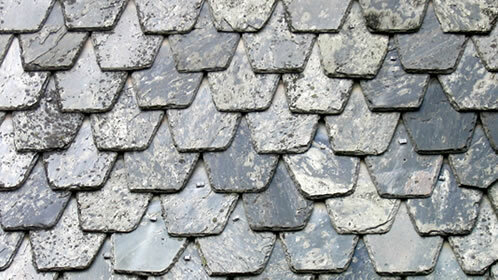 Your first stop for landscaping in Reading, we stock Natural Paving, Stonemarket and Brett Paving. 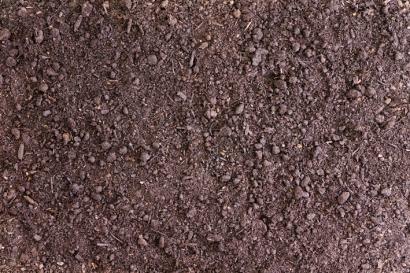 Peppard Building Supplies has an extensive range of quality landscaping products suitable for a range of projects. Whether it is a large commercial development or small private project; we have everything you need for your landscaping project including a full range of paving stones, treated timber and stone sealing and fence protection products. 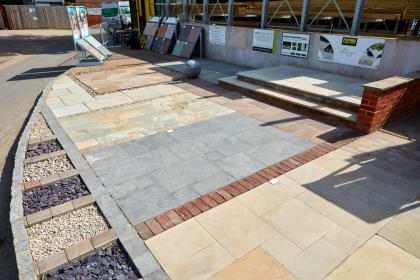 Our wide range of landscaping supplies includes natural stone paving, concrete paving, clay paving, lap panels and sleepers from well-known, reputable brands such as Brett Paving and Marshalls. We also provide a complete driveway and drainage package which is perfect for any outdoor project. Landscaping will not only increase the value of your property but it also provides the opportunity to beautifully frame your property, making the most of the space you already have. Whether you are creating decking, paved walkways, patios or adding the finishing touches to a summerhouse, landscaping is a perfect way to transform a plain patch of grass into something beautiful. We also supply quality treated timber products such as timber decking, sleepers and fences. In addition to our landscaping products we also have a range of wood treatments and stone sealants to help you care for your new garden and extend the length of its lifetime. Increase the amount of time spent in your garden or outdoor space with an imaginatively updated garden with natural features, perfect for entertaining. Peppard Building Supplies has everything you need to make the most of any outdoor space and are dedicated to providing the highest-quality landscaping supplies. For foundations, blockwork, brickwork, rendering, driveways or patios, we've a wide range of aggregates, sand and cements. Peppard Building Supplies is a builder merchants in Reading is here to meet all your aggregates, sand and cement needs. We offer high-quality materials and exceptional customer service to our customers, including both trade and domestic clients. Aggregates from Peppard Building Supplies are available bagged, and in loose/bulk bags depending on your requirements. 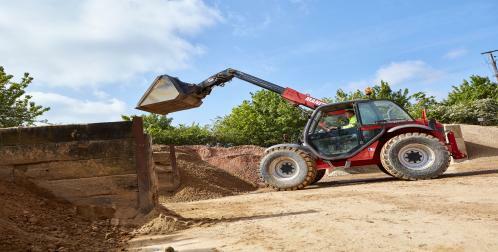 We can supply direct to site in 20T loads or loose aggregates from our yard from 1T to 8.5T. If you prefer bulk aggregates bags, these can be delivered via crane offload. We stock an exciting range of decorative aggregates which come in a wide range of textures, colours and sizes to suit almost any landscaping project. Transform or enhance any garden, driveway or fish pond with loose or bagged aggregates from Peppard Building Supplies and complement your existing outdoor features, or planting areas, with decorative aggregates. In addition to our range of construction aggregates bulk bags, Peppard also has a wide range of specialist cement, plastic covered Multicem cement and general purpose cement from the Hanson range. Our range also includes Hanson’s white cement, which is suitable for lighter coloured concrete or mortar, Quickcem which is designed for quick setting and hardening cement or mortar and hydrated lime, which improves workability and water retention. Peppard Building Supplies has the best range of fixtures and fittings available in the Reading and Henley area, with products from some well-known brands such as TimberDrive, TIMco, Reisser, Bluebird - and our own brand of Peppard screws and nails. The customer service team at Peppard is dedicated to delivering the highest quality products and services to all our customers and are here to make sure you get the correct fixtures and fittings for the job, whether it is a large commercial project or a simple set of shelves. Ensuring you get the correct fixings for your project will not only make the construction easier and save time but it will also ensure that the finished products will stand the test of time. At Peppard Building Supplies, we have a complete range of nail, screws, bolts, joist hangers, straps and Bluebird screw ties. 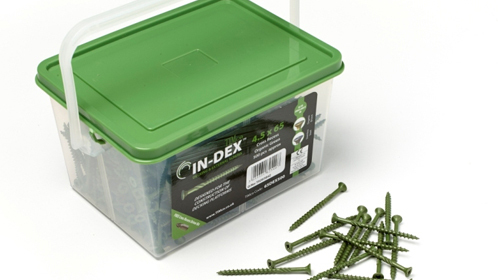 Our range of quality fixings and fittings also includes concrete fixing screws, heavy duty screws, TIMco screws, high-grade steel nails and Bluebird fixings. 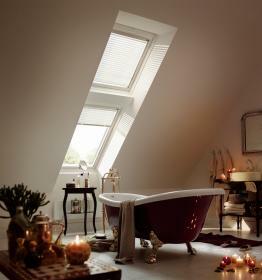 Installing VELUX Roof Windows into your home can transform a dark area into a light-flooded living space. Peppard Building Supplies in based in the Reading area and delivers high-quality building materials to the surrounding areas to both domestic and commercial customers. Our selection of roof windows includes flat roof windows, centre pivot roof windows, top-hung roof windows and sun room extension windows from the well-known market leader, Velux. Blocks are a fundamental part of modern, building structure and Peppard Building Supplies, based in Reading, has large stocks of high-quality concrete and Aircrete blocks, suitable for a range of building projects, from well-known manufacturers such as Quinn, Toplite, Plasmor and Cemex. Whether you are extending a property or building a more energy efficient home, it is important that you have the right blocks for the job. The Peppard range of blocks includes; Foundation Blocks, Aircrete Blocks, Fibolite Blocks, Hollow Concrete Blocks, Medium Dense Concrete Blocks and Dense Concrete Blocks. With a variety of different densities and styles, our concrete blocks are suitable for several applications, including both below and above ground. Dense, solid concrete blocks such as Cemex Dense Concrete blocks will ensure sound wall construction, whereas lightweight, aerated blocks such as Tarmac’s Toplite GTI Block, provide excellent insulation. All concrete blocks available at Peppard have low thermal conductivity and good acoustic performance, with varying strengths and acoustic properties, and are both versatile and adaptable. Our range of concrete blocks is suitable for use in foundations, ground floor applications, block and beam floors, cavity walls and solid walls. These can be supplied from our depots on crane offload vehicles or direct to site for those that require volume. 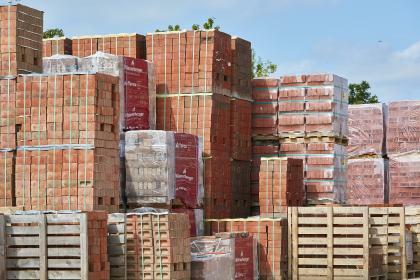 Our stock includes facers, engineering bricks, top brands such as Hanson LBC and Imperial. Brick matching service in store. Bricks are a necessary part of a sizeable proportion of all building projects and making sure you have the correct type of bricks before starting a building project is crucial to its successful completion. When selecting your bricks, there are several key factors to consider including size, strength, colour and quantity. Choosing the correct brick for the job at hand will mean little or no maintenance once the project is completed, and in the right building, they will contribute to the thermal mass, meaning less energy will be consumed through heating and cooling. 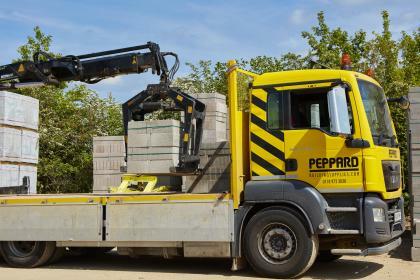 Peppard Building Supplies is the largest brick supplier in both Oxfordshire, Buckinghamshire and Berkshire. Our extensive range of bricks includes clay facing bricks, wire cut bricks, stone cladding, engineering bricks, knapped flint and clay paving, supplied by reputable manufacturers such as Swanage, Ibstock, Wienerberger, Blockleys, Bovingdon, Duntons, H.G. Matthews, FLB and York Handmade. Peppard has a wealth of experience and knowledge in the building trade and can offer help and advice, from smaller domestic jobs to large commercial projects. Our brick matching service, including site visits, is available to help you to select the perfect brick for your requirements. If you need any additional help any advice, please contact our customer support team. Get inspired to create the home you’ve always dreamed of, with our amazing decorating product selection. We can supply you with the right decorating materials and products to get your home looking great. Create a unique look with our decorating accessories, primer products and colour match service. At Peppard Building Supplies, we also sell trade paint, masonry paint and wood preserve. In our range of decorating accessories, we supply Everbuild Wonder Wipes and Soudal Decorating Caulk. Add some colour to your home with our well-known brands for trade paint from our stock of Crown, Dulux Trade and Leyland paint. 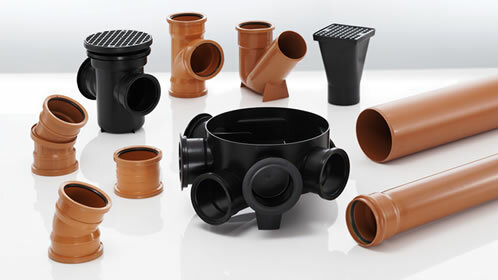 We supply a wide range of Brett Martin below & above ground drainage, innovative rainwater and guttering systems.. Here at Peppard Building Supplies, we stock the widest selection of products within Reading. For drainage and foundations products, we stock general purpose geotextiles, ducting, manhole covers, reinforcing mesh and rod, ready mix concrete and channel drains. Whether you are creating a new drainage system or improving or repairing an existing one, Peppard has the perfect product for you. Peppard Building Supplies offers one of the most comprehensive ranges of quality and branded materials for building projects, developments and landscaping. Feel free to browse our website anytime to find the items you are looking for and our staff are ready to help. Do not hesitate to call or email us if you have any questions. We offer a one-stop solution for all your insulation requirements including cavity, loft, foil blanket, pipe and loose insulation. Here at Peppard Building Supplies, we cater for all your insulation needs whether for a small domestic or a large commercial construction project. We have the essential items you need to do the perfect job. No matter what job you are doing, you can count on Peppard for the right insulation solution with our wide range of products from leading manufacturers such as Rockwool and Knauf. Thinking about insulating your loft? 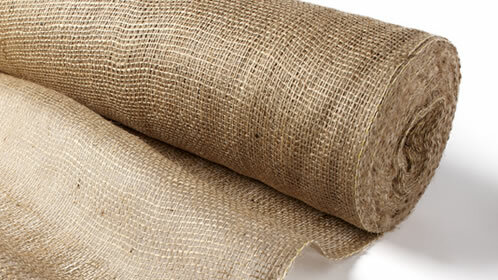 We stock rigid board PIR, thermal and acoustic boards, and loose fill, multi-foil, cavity and pipe insulation. Using these great products, you can insulate your loft, attic or flat roof and reduce heat loss and heating bills. Our range of lintels and padstones is unrivalled and includes Birtley Super Galv Steel and pre-stressed concrete. Peppard Building Supplies is the best regional supplier of lintels with a wide range available from stock, to help you reduce construction costs. We offer delivery to the local area, including Reading and Henley. At Peppard, we stock both concrete and steel lintels and padstones from reputable brands such as Cemex, Supreme and Birtley. Our lintels are suitable for both internal and external applications; with almost any construction method including solid wall, timber frame or brick and block. 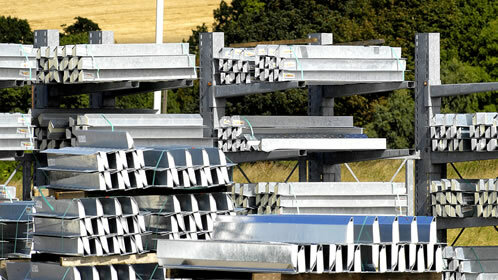 Our range of lintels includes pre-stressed concrete, padstones, floor beams and supergalv steel. We stock Cemex blocks, Supreme concrete lintels and various padstone sizes. We are the number one block and beam flooring suppliers in Reading. Our stock includes standard plasterboard, moisture resistant, fire protection, sound reduction and other specialist boards. Peppard Building Supplies, based in Reading, has a fantastic range of Plaster and Dry Lining products available from stock. 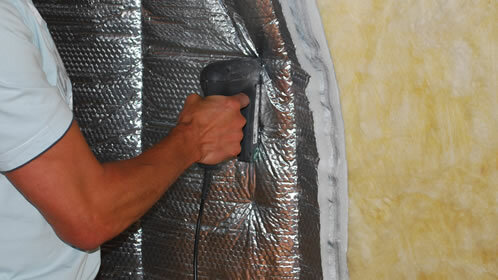 Dry lining is a method of building internal walls and ceilings within a property. It is very popular in both the residential and commercial markets, as it allows the fast and easy erection of non-load bearing walls and ceilings. Here at Peppard, we have the quality brands you expect from a quality merchant. 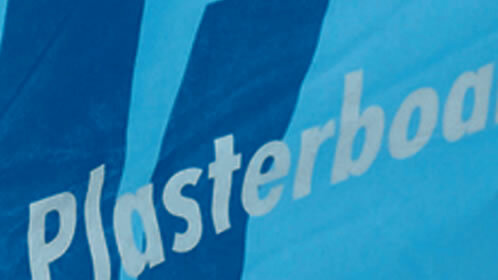 We work with well-known manufacturers such as British Gypsum, Knauf and Wondertex. Our range of plasterboard includes dry lining accessories, cove, sound reduction plasterboard, fire protection plasterboard, dry lining beads, plaster and bonding compound. If you are looking for building supplies, then Peppard is where you need to go. Why not browse through our range, we also offer moisture resistant plaster boards, fire retardant boards, standard plasterboards and much more. Peppards can fulfil all your heating needs. 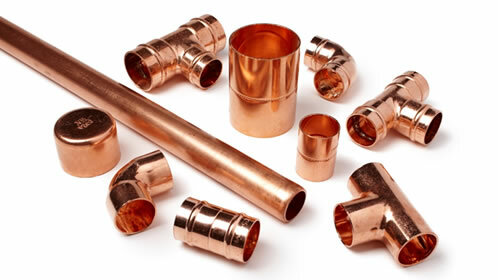 We stock copper, chrome, plastic, brass and iron pipes and fittings. At Peppard, we have a great range of products for heating, for both our trade customers and DIY enthusiasts. Our heating selection covers brass fittings, copper fittings and pipes, iron fittings, plastic fittings and pipes, waste pipes and fittings, a plastic cast iron effect rainwater range and lead sheeting. 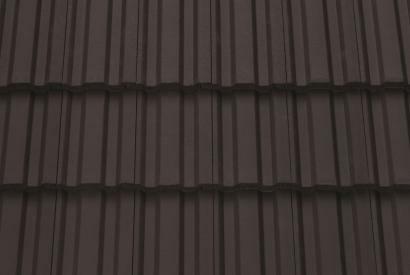 Our Midland lead sheeting is suitable for weather-proofing and soundproofing. Peppard Building Supplies has everything you need to get the job done. If you have any questions about under floor heating, for example, our customer service team is more than happy to answer them for you - or feel free to browse our plumbing range at our Reading premises. Peppard Building Supplies is an independent builder’s merchant based in Reading, serving both the public and trade. 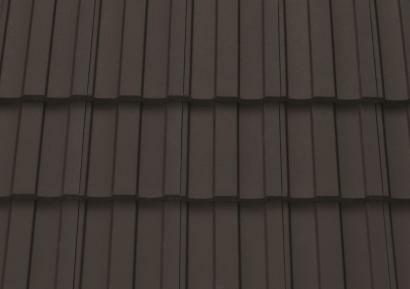 We offer a rapid and effective delivery service which can supply all your roofing requirements and drop your order straight to your door or site, and because we are independent, we are able to shop around for the best, genuine trade deals, which is reflected in the prices of our roofing products. 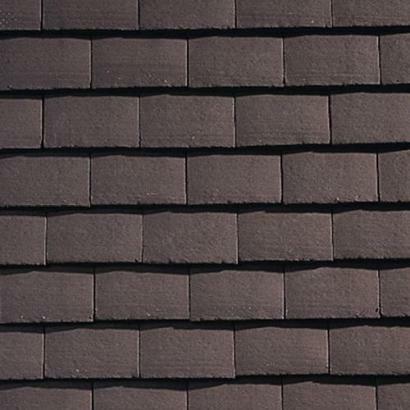 Our range of quality roofing products has been designed with tradespeople in mind, with products that are suitable for pitched roofing, flat roofing, lead flashing and roof vents from trusted manufacturers such as Sandtoft handmade clay and concrete roof tiles. Cromar, Novia, Ariel and Chesterfield felts. 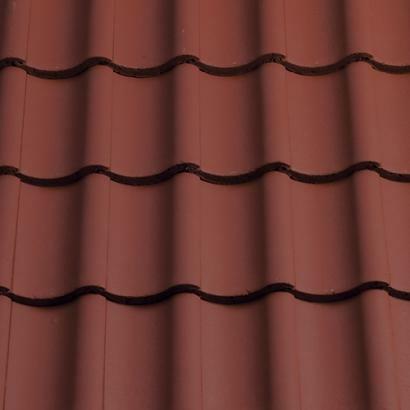 Our roofing product range includes handmade and concrete roof tiles, roof felts, building paper and red roofing battens which adhere to BS 5534 standards. 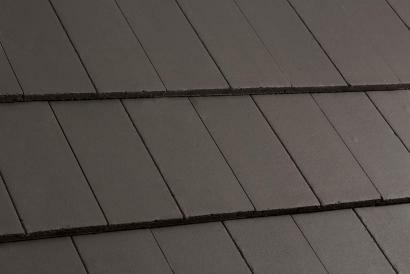 The staff at Peppard Building Supplies are knowledgeable, friendly and reliable; if you require any assistance or advice with your roofing supplies purchase, please contact our customer support team. Wall starters, brick ties, hessian, adhesives, admixtures, PVA, adhesives, latex floor level, DPC, DPM and more. Collect your day-to-day requirements from Peppard Building Supplies. We are only 10 minutes from Central Reading Station. At Peppard Building Supplies, we stock great products like Velux windows, Crown paint, OX hand tools, Jack saw’s, Kerend, Everbuild, Riesser screws, pothole repair materials, pipestrip, DPC, DPM polythene, hessian, mesh rendering system, adhesives, tile adhesive, and expanding gap filler. We also sell online PVA, admixtures, latex floor level, brick ties, wall starters and rock salt. We are North Reading’s premier independent builder's merchant with high-quality merchandise and highly trained staff to assist you. We are the 1st choice for both professionals and DIY enthusiasts. Browse through our website to find the perfect products for you and check out our Facebook and Twitter accounts to see the latest news and offers from Peppard Building Supplies. Our staff are ready and willing to answer any questions you have. You can contact us by phone, fax, email or submit an enquiry online. We aim to respond to email enquiries within a 24-hour period but if it is important, please call us on 0118 972 2028. Please note that our opening hours are Mondays-Fridays: 7.30am to 5.00pm and on Saturdays we are open at 8.00 am to 12.30pm. Peppard Building Supplies is Reading based builders merchant which was founded in the mid-sixties by John Butler, a local builder. It is now ran by his sons Ru and Nic, who are helping the business grow and evolve in Reading and the surrounding area. At Peppard, we believe in supplying all our customers with high quality materials, up-to-date expert advice and most importantly good old fashioned customer service. We offer one of the most comprehensive ranges of branded, quality building materials for building, developing and landscaping. We have been building our reputation for over a half a century, providing advice to all our customers and high quality building materials whether the project is a multi-unit housing development or a small private extension. So, if you are looking for a high quality, independent, local builder's merchants in Reading, look no further than Peppard Building Supplies. Follow us on Twitter @Peppards for the latest news from Peppard Building Supplies. © Peppard Building Supplies — North Reading's Premier independent builders merchant and first choice for the professional and DIY enthusiast alike. All rights reserved. Arthur Butler Ltd t/a Peppard Building Supplies Registered in England and Wales Reg. No 00321820. Registered Offices Bishopsland Farm, Peppard Road, Dunsden, Reading, RG4 8XA, United Kingdom.